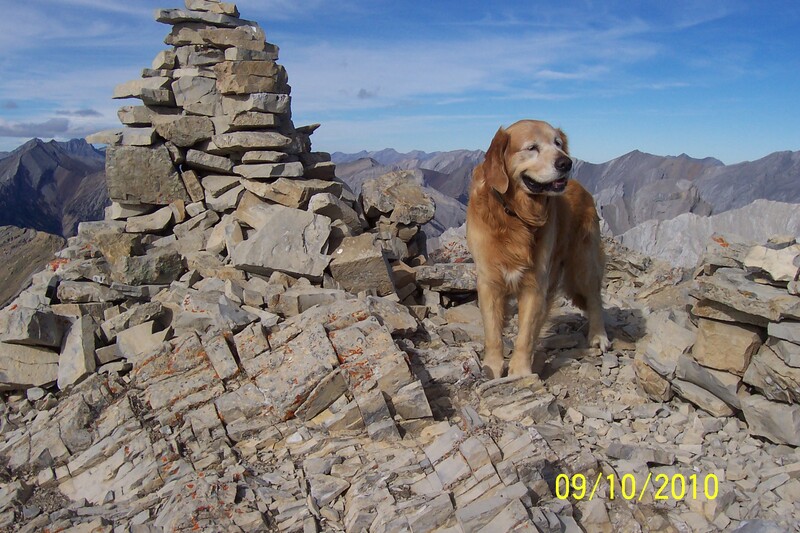 Buddy (10 yrs) on Grotto Mountain via the Bataan Climbing wall access route. 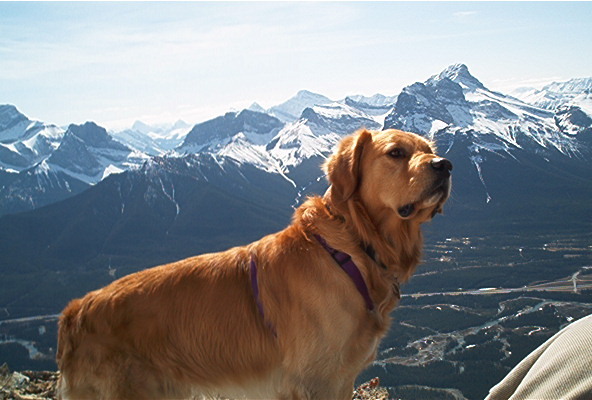 Buddy (1-1/2 yrs) on Grotto Mtn. Lougheed Peak 1, Wind Mountain, Wind Ridge, Rimwall, Three Sisters behind. DOGS ON PEAKS Blog at WordPress.com.